As NASA’s Cassini mission approaches its 10th anniversary at Saturn, its team members back here on Earth are already looking ahead to an upcoming phase. Starting in late 2016, the Cassini spacecraft will repeatedly climb high above Saturn’s north pole, flying just outside its narrow F ring. Cassini will probe the water-rich plume of the active geysers on the planet’s intriguing moon Enceladus, and then will hop the rings and dive between the planet and innermost ring 22 times. 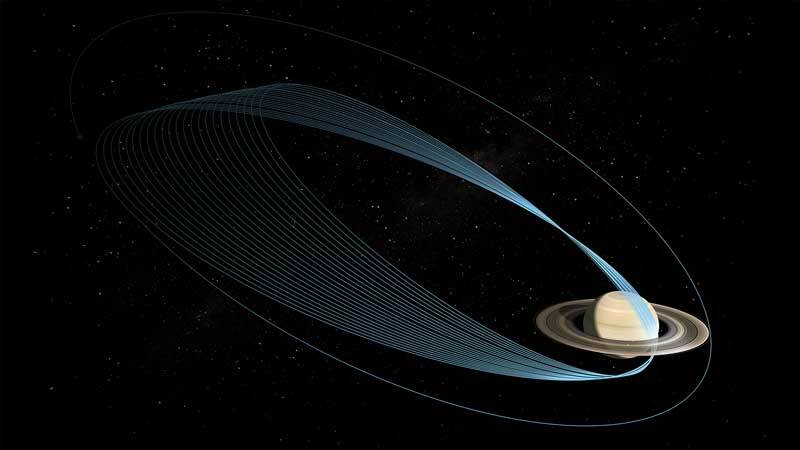 Because the spacecraft will be very close to Saturn, the team has been calling this phase “the proximal orbits.” But they think someone out there can conjure up a cooler name. Here’s where you come in: you can choose your faves from a list already assembled, or you can submit your own ideas (up to three). The big reveal for the final name will be in May 2014. For more information on the contest, visit: http://saturn.jpl.nasa.gov/name. As part of the anniversary celebration, the Cassini team has released a video preview of the next four years of the mission, which is embedded at the top of this story.